Tokyo Skin Clinic is run by two multilingual doctors, both fully licensed in the EU and Japan. It was founded in 1992 as a specialty clinic for cosmetic dermatology and skin surgery, the first of its kind in Japan. After relocating to Roppongi in 1996, their services expanded to include general dermatology and primary care, filling the needs of a large non-Japanese population of this area. 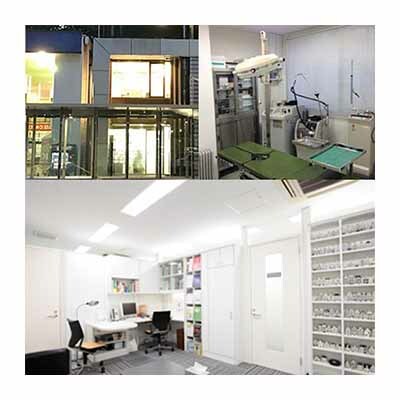 In spite of its private practice setting, the clinic offers extensive lab tests for diagnostic and screening purposes made available through its close collaboration with Japan’s leading laboratory. The clientele of Tokyo Skin Clinic is international, from Europe and English-speaking countries in particular. In addition to individually-tailored quality care, services are offered to enhance the convenience of our often mobile and busy patients, such as in-house dispensing of medications and nonprescription skin care products, easy online accessibility and availability of short notice appointments. In 2003 the two doctors initiated periodical health checks for Japanese companies in the Netherlands, required by Japanese labour law and not available in the Dutch health care system, in collaboration with a Dutch public hospital. Currently we go to the Netherlands three times a year for the health checks and spend much of our time in Japan doing related work. From now on Tokyo Skin Clinic will serve as home base for providing care in general dermatology and skin surgery to foreign residents in Japan and foreign tourists. It will also continue to offer cutting-edge skin treatments for everybody. ©2019 Tokyo Skin Clinic. All rights reserved.